Is your garbage disposal experiencing technical difficulties? When you turn your sink’s garbage disposal on, do you hear humming, whirring, or no sounds at all? There are numerous reasons why your disposal could be malfunctioning; unless you have professional-level knowledge, it’s always best to leave the garbage disposal repairs in Arlington to the professionals. 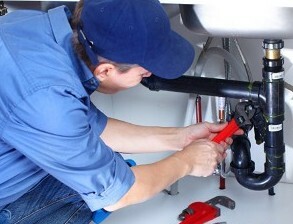 We can repair a wide variety of different brand name garbage disposals and disposers. Repairs in Arlington are met with fast and affordable service that ensures that any issue that your home’s garbage disposal unit may have is remedied to complete satisfaction. The garbage disposal helps eliminate food waste; like every appliance, it makes completing household chores much easier. So when your home’s garbage disposal stops working correctly this prevents the easiest method of eliminating food waste from your sink. Additionally, a damaged garbage disposal can promote the growth of bacteria, germs, and other microscopic pathogens that you don’t want in your home. So if your garbage disposal won’t dispose of garbage, contact Same Day Appliance Services and ask about our garbage disposal repairs in Arlington. We also serve nearby Northern Virginia communities. Trash compactors, much like people, come in a variety of shapes, sizes, and colors. Some trash compactors are massive and can handle thousands of pounds of trash at one time. Other models are small enough to fit into a residential countertop. However, if your trash compactor has stopped operating correctly and no longer efficiently consolidates your trash, contact us and talk to a certified repair professional about your trash compactors in Arlington. Typically, trash compactors in Arlington come equipped with features that improve function and make the appliance easier and more convenient to use. These features include knob controls, anti-jam features, tilt sensors, drawer openers, filters, rollers, control operating keys, and sound insulators. However, much like anything mechanical, these implements can break down and stop working. So if your home’s trash compactor is broken then you need to contact us for fast and affordable repairs. So what can you do to ensure that your disposers and trash compactors in Arlington won’t need unnecessary repairs? For disposers: don’t grind glass, plastic, metal, or paper. This dulls the blades and weakens the motor. Additionally, don’t put fibrous or starchy vegetation like corn husks into your disposer. This plant matter will work like rope and can prevent your disposer from working. Starchy materials build up in pipe systems and can also clog a disposer’s motor. Also be sure to keep grease, oil, and fatty byproducts away from your disposer. For trash compactors: care is relatively simple. Never put in harmful chemicals and never overload the compactor. Overloading the compactor will prevent the appliance from working correctly and it can also rip the bag. A ripped bag means a bigger mess to clean up. Also be sure to regularly clean the inside of the compactor. This helps keep the area more sanitary. For more information on our trash compactor and disposer repairs in Arlington, contact a certified and professional repairman from Same Day Appliance Services. 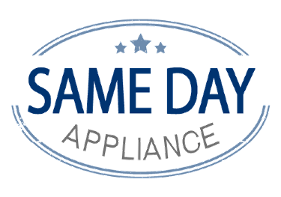 Contact Same Day Appliance Services for trash compactor and garbage disposal repairs in Arlington and surrounding communities of Mclean, Tysons Corner, Great Falls, Vienna, Arlington, Alexandria, Falls Church, Annandale, Burke, Oakton, Dunn Loring, Springfield, Woodbridge, Dumfries, Dale City, Fairfax, Centreville, Chantilly, Fairfax Station, Clifton, Lorton, Manassas Park, Manassas, Gainesville, Bristow, Haymarket, and Nokesville.